Regrettably, many of us will suffer from high blood pressure at some point in our lives. High blood pressure or ‘hypertension’ is a potentially dangerous condition that can lead to a number of serious illnesses and diseases. Lifestyle and diet both play an important role in preventing its development – consuming magnesium on a regular basis for example, can help lower blood pressure demonstrably. Unfortunately this valuable mineral is present only in small quantities in our regular food supply. Yet, there are a number of mineral-rich superfoods that boast particularly high quantities of magnesium. Adding these to our daily diet can lower blood pressure in an entirely natural way and help keep our bodies fit and healthy in the process. What is blood pressure and how is it measured? Blood pressure, sometimes known as arterial blood pressure, is the pressure of the blood against our artery walls and is caused by the pumping of the heart. Every time our heart muscles contract, blood is pushed into the blood vessels and our blood pressure reaches its maximum, or ‘systolic’ pressure. When the heart relaxes, blood pressure is at its lowest, or ‘diastolic’ pressure. When doctors take our blood pressure, both the systolic and the diastolic pressure are measured in millimetres of mercury (mmHg). It is the systolic pressure, however, which is decisive in determining whether or not we suffer from high blood pressure. A healthy blood pressure is around 120/80 mmHg, although blood pressure can fluctuate throughout the day and will often be lower in the morning and evening, than in the afternoon. That’s why doctors prefer to take several blood pressure readings at various intervals, before officially diagnosing a problem. According to the British Heart Foundation, our blood pressure should be below 140/85mmHg. Rather worryingly, they believe that around 5 million people in the UK have undiagnosed high blood pressure, which is why it’s so important to get our blood pressure checked regularly. What are the symptoms of high blood pressure and why is it so harmful? High blood pressure is largely a symptomless condition, which is why it can often go undetected for such long periods of time and is known as the ‘silent killer. The NHS estimates that some 30% of people in England suffer from high blood pressure, but many of them are unaware. If you have extremely high blood pressure, or your blood pressure rises very quickly, you might experience headaches, problems with your vision, fits or blackouts, but you are just as likely to notice no symptoms at all. Consistently high blood pressure can put a serious strain on both our arteries and heart and, if left untreated, may lead to heart attack, heart failure, stroke, kidney disease and damaged sight. Coronary heart disease, the UK’s biggest killer, is responsible for approximately 82,000 deaths a year, with one in five men and one in eight women dying from the disease. It is triggered by atherosclerosis (a furring of the artery walls) a condition that can be precipitated by high blood pressure. There are many factors that contribute to the development of high blood pressure. It’s normal for blood pressure to increase as we get older, because our blood vessels become less flexible with old age, resulting in a reduced blood flow through the arteries. In younger patients high blood pressure can either be hereditary, the result of illness or induced by lifestyle. Smoking, excess alcohol, lack of exercise, poor diet (e.g. eating food with a high salt content), obesity and stress all increase our risk of high blood pressure. High blood pressure can also be provoked or aggravated by a lack of essential nutrients, such as magnesium, in our day-to-day diet. It is well documented that consuming 350-500 mg of magnesium per day can effectively lower blood pressure. Indeed, scientific research conducted by T. Dyckner and P. Wester and published in the British Medical Journal reveals that patients undergoing long term diuretic treatment for arterial hypertension or congestive heart failure, who received a daily magnesium supplement for six months, saw a notable decrease in both their systolic and diastolic blood pressures. How can I lower and/ or prevent high blood pressure? As already mentioned, lifestyle and diet play a crucial role in preventing or reducing high blood pressure – if you stop smoking, reduce your alcohol intake, take more physical exercise, avoid eating too much salt, achieve a healthy body weight and avoid stress as much as possible, then you’re already well on your way to significantly lowering your risk of high blood pressure. You can also incorporate a number of beneficial foods that are rich in magnesium, into your daily diet. These include almonds, spinach, broccoli, root vegetables, beans, lentils, bananas, avocados and last but certainly not least, raw cacao beans. Raw cacao beans are not only a delicious superfood, that contain countless beneficial nutrients including vitamins, minerals, fibre and essential fatty acids – they’re also the richest dietary source of magnesium on the planet. Raw cacao contains an average of 420mg of magnesium per 100 grams, which is 37 times more than an ounce of broccoli and 17.5 times as much as an average sized banana (source: United States Department of Agriculture). Numerous studies have shown that regular consumption of raw cacao beans is extremely beneficial for the heart and blood vessels and will help regulate blood pressure. A lifestyle analysis of the Kuna Indians, who live on Panama’s San Blas islands and who all have an extraordinarily low blood pressure (even in old age), revealed that they regularly enjoy large quantities of a local drink prepared from raw cacao beans. Raw cacao beans are not only a powerful natural remedy for high blood pressure – they also contain a high quantity of PEA (phenyl ethylamine), the so-called “love drug” known to increase libido, boost energy, heighten alertness and improve concentration. Raw cacao beans boast an intense flavour and rich aroma and can be enjoyed just as they are or combined with nuts, goji berries, camu camu berries and other dried fruit. They also make an ideal snack, an indulgent dessert topping and are a perfect ingredient in trail mix and other raw sweet treats. Research shows that hydroxytyrosol reduces the risk for cardiovascular diseases and that it decreases LDL and increases the HDL, meaning that it gives an increased amount of good cholesterol and decreases the amount of bad cholesterol. It decreases the blood pressure, protects the lungs and counteract trouble in the respiratory system. 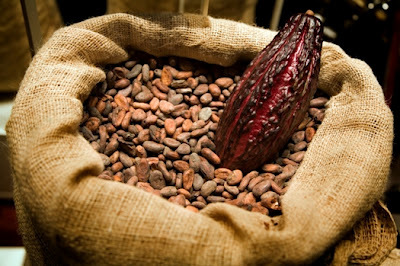 I need a recipe for the use of cocoa beans for hypertension treatment. Could you supply same? I understand raw organic beans are best for this usage? Yours is a clever way of thiiknng about it. Komuchow zastepuja cwansze bestie,te niby prawicowe a tak naprawde predatorzy skrzetnie ukrywajacy sie pod postacia bozych barankow.Przy nich komuchy to pikusie,stara wymierajca elita ,ktora zastepuja prawdziwe bestie,glodne ,z piana na ustach i nieprzejednane w swoim parciu po wladze i pieniachy.Jeszcze takich komuchow jak Urban to bedziemy z lezka w oku wspominac. i am bipolar II the only thing that keeps me holding on is knowing it will pass i have had this all my life so i know my cycle of moods it takes time to get used to these things you have to be patient Was this answer helpful? I am a hypertensive, I drink pure cocoa 4 times a week and the result was very positive.